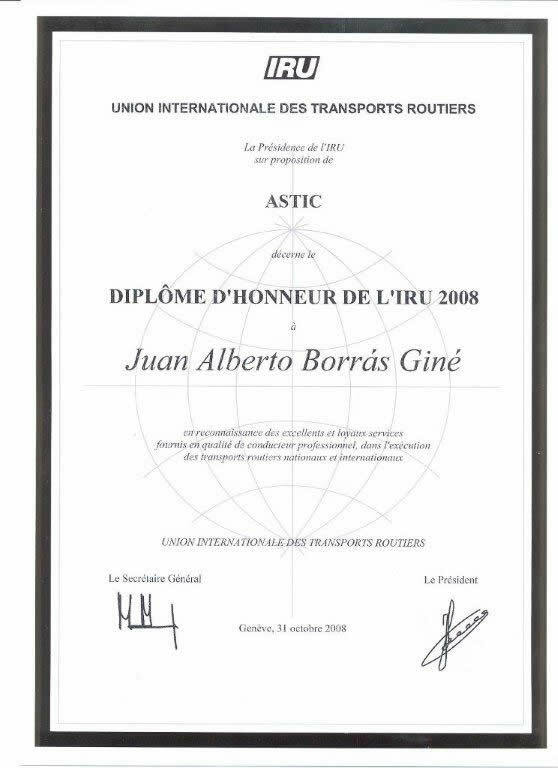 Through this, we are pleased to report that last 2009 the IRU (The International Union of Road Transport) awarded 17 Spanish drivers, of which 3 are part of the workforce of Tomàs Transports, a Degree of Honor and Medal of IRU. 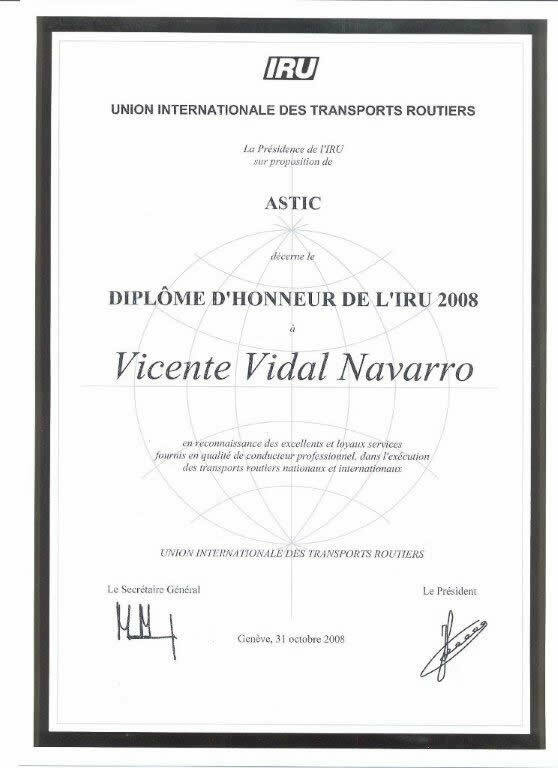 This reward is an award for the best drivers for their services and their moral qualities have done honor to the profession. That takes at least 5 years in his last company and have made at least 1,000,000 Km. That has not caused any serious traffic accident during the last 20 years. That did not seriously violated the customs, administrative or service on the last 5 years standards. In Tomàs Transports we are proud to have drivers with extensive proven experience including three awards for the IRU and several candidates for these awards again for 2010. Without more, receive best regards.